As most everyone knows, what happens in Vegas stays in Vegas. 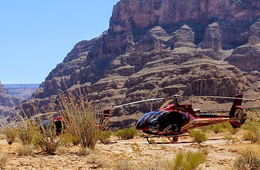 However, the experience of a Grand Canyon helicopter tour is something you’ll want to share with others. A way to escape the heat, the hassle, and the horror of losing on a twenty against a dealer’s six, a ride through the Grand Canyon is truly a once in a lifetime experience. Overall, there may be more reasons to take a helicopter tour than there are clouds in the sky. But, the three main reasons may just be reason enough. Of all the of Mother Nature’s masterpieces, few rival the Grand Canyon in terms of majesty. One of the Seven Natural Wonders of the world, this canyon was, per LasVegas.Com, was first established by Teddy Roosevelt before being declared a national park by Woodrow Wilson. The Grand Canyon stretches 277 miles from end to end and covers 1900 square miles, making it bigger than the entire state of Rhode Island. Described as vast, colorful, beautiful, and amazing, walking through the Grand Canyon is an experience that will leave you impressed. 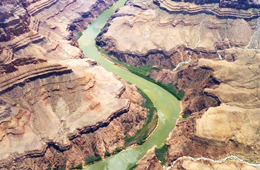 Flying over the Grand Canyon is an experience that will leave you in awe. If you want to get away and have some time for yourself, Vegas isn’t exactly the place to do it: according to the Las Vegas Sun, an average of 17,700 people are walking on the strip at any given hour. This number nearly doubles during the peak hours of 6 p.m. to midnight. With so many people packed on a rather narrow sidewalk, the desire to beat the crowds is more than just a human reaction; it’s a necessity. 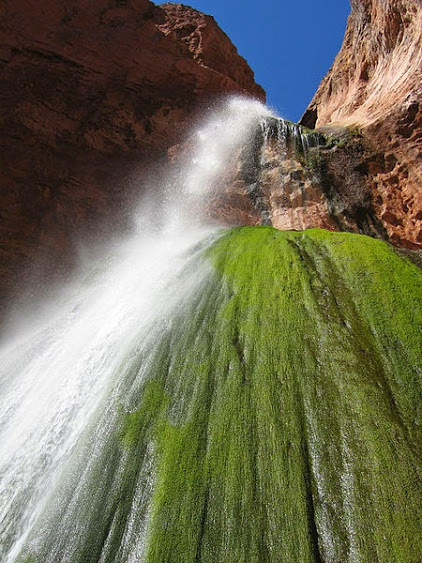 A Grand Canyon helicopter tour is the perfect way to accomplish this. Per National Geographic, helicopter tours that include a stroll on the Skywalk – the transparent, horseshoe bridge that sits over 4500 feet up on the side of the canyon near the Colorado River – allow you to take a walk that doesn’t involve being crammed shoulder to shoulder with hundreds of others. But, even without the Skywalk, a helicopter tour allows you a chance to really kick back, relax, and enjoy the sights of nature. 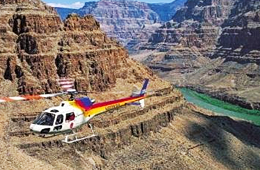 A final reason to take a Grand Canyon helicopter tour is because of the many choices offered. Per Vegas.Com, you may choose to take an air tour only or you may choose to land and have a picnic. You may choose to walk around once you arrive at the canyon or you may choose to try out the Skywalk. You may choose to fly over the strip or you may choose to fly in the evening, taking in the lights of the city or a sunset.